We were given free tickets to Numbers Nerds for review purposes. Any and all opinions expressed here are our own. 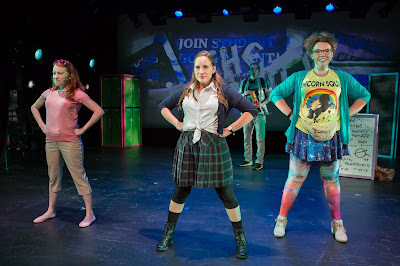 Numbers Nerds is a musical that is part of this year's New York Musical Festival. 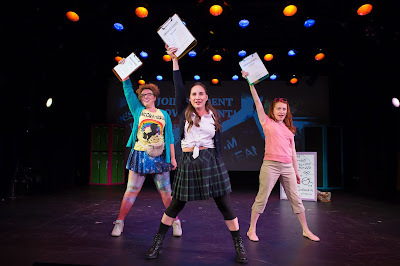 The show's last performances at the festival was on Sunday July 23, 2017. Me - Numbers Nerds is about high school kids who are part of a math team. They want to win the national math championship. It was a very enjoyable show. It had pleasant music. I especially liked the songs The Pressure is On and the Final Ultimo. 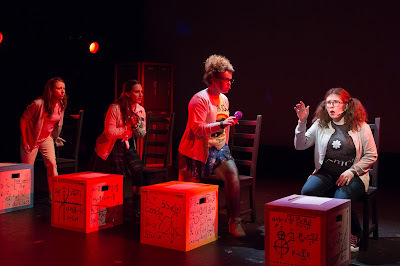 I don't really like math myself, and I never thought songs about math and a show about math could be so fun. However, the show was very entertaining. It had a good story. The characters were interesting. It was funny that one character had a My Little Pony toy that helped her solve math problems because she saw math as colors. There were a lot funny parts in the show. Over all, it was very fun show to see. 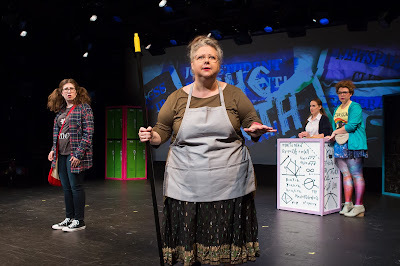 Mom - Numbers Nerds is the story of a high school math team . You wouldn't think a show about math would be that entertaining, but it it really is. In fact, this a great show on so many levels. It has a good and entertaining story. It has enjoyable songs. Who knew songs with titles like I Look Like An Engineer, Melissa's First Theorem, and In Defense of Math could be so fun? It is inspirational because it is all about being yourself and letting your best self shine through by conquering your fears and by not worrying about what other people think. It provides good role models for girls by showing that it is okay for girls to love and be good at math and sciences too. These are not just subjects that are the province of boys. It is an especially great show for performances by school and youth groups which tend to have more girls than boys because there are mostly female roles in the show. The version of the show at the festival only had a cast of six. However, there is an expanded version of the show with a cast of 25 making it perfect for schools and larger youth groups.